There’s no denying it. Commodity prices are going up. Steel, plastics, metals of all kinds, and of course, the big one, oil. Of course oil costs going up means one major thing, increasing shipping costs. This effects every industry in every way. Nobody is immune. We’re seeing nearly all of our major manufacturers increasing prices on us. We’re doing everything we can to maintain prices at our current low levels, however there are times when we can’t bite the bullet any longer. This is one of those times. There’s a significant price increase scheduled for April 1st for all of our Dannmar Automotive Lifts. Prices will be going up at a significant pace. Factor about a 3 to 5 percent increase in most cases. This means every Dannmar 2 post lift, Four Post Lift and even the very popular MAXJAX portable two post lift are all going up in price. The current prices are already extremely competitive, and when it comes to their two post lifts, we doubt you can find a more affordable ALI Certified lift. That’s saying something pretty significant. They’ve already got all the features of a top quality ALI certified auto lift, but a price that puts it within reach of the budget minded garage owner. Plus their Commander D-7 Four Post Lift is our most popular lift of all for the home / hobbyist looking for a service / storage solution. You know the old saying, “He who hesitates is lost”. Well that’s never been more appropriate than now. Don’t wait, or you’ll miss out on the best prices you will ever see these lifts at. 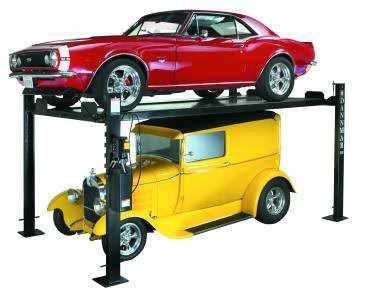 We carry Automotive Lifts from three different manufacturers. By far, the largest of them is BendPak. They’re also the best. Plus, they’ve got the widest variety of lifts out there. They’re always innovating and coming up with new solutions as well as improvements on old models. So when they come out with these new models, we end up with a supply of the old models that we need to get rid of. These are perfectly new lifts. There’s nothing wrong with them. They’re just being replaced by the latest and greatest Bend Pak Lift models. So, to get rid of this surplus equipment, we are having a huge sale. Prices are ridiculously low. If you don’t mind getting last year’s model, now is the time. Supplies are limited, and once they’re gone, they’re gone. So don’t delay. This is yet another customer testimonial along with some pictures. This customer purchased a BendPak XPR-18C Two Post Lift. The features and quality of the BendPak two post lifts have been well documented on our web site over the course of the past 15 years that we have been selling them. BendPak is the leading name in automotive lifts, and their XPR series of two post lifts are unequalled in quality and features. Everything from taller lift carriages to larger pulleys and the best power unit in the business. And don’t forget about the BendPak warranty. “The BendPak Lift is an terrific product. 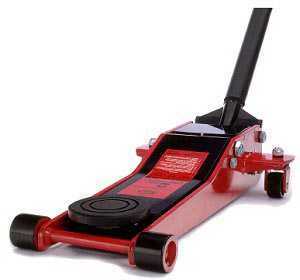 It is really strong, easy to operate and safe. I recommend it to anyone in the truck repair business. As a matter of fact, we liked it so much, we just got another one! You guys at ASE have always been very helpful, fair and honest”. Too busy during the week to get that nagging problem with your car fixed? Maybe your boss won’t allow you the necessary time off to take your car to the shop. Well, don’t fear anymore. At least one car manufacturer is trying to make it easier to get your car serviced. If your schedule isn’t flexible enough to bring your car into the shop on weekdays, you may soon be able to do so on weekends (Saturdays anyway). At least, that’s if Chrysler has it’s way. They are keeping their parts distribution centers (20 locations) opened on Saturdays in an effort to nudge auto dealerships into maintaining Saturday hours. As you know, most dealers don’t keep their service departments opened on weekends. Many independent auto shops have kept open schedules on weekends, but for some reason, the idea never caught on with the dealerships. When you add to that the fact that the independent garage owners typically have lower labor rates, the dealers have a difficult time competing. Chrysler is hoping this move will even the odds somewhat. One factor that came in to play was the fact that car dealers haven’t been able to rely on car sales as much since the economy took a downturn. So they are hoping that raising some cars up on the Auto Lifts on Saturdays will help boost revenues. One of the ways they encouraged some dealers to open their service doors on Saturdays was to go out and take pictures of Chrysler automobiles being serviced on competitors Automotive Lifts and tires being mounted on a Tire Changer. Nothing sticks in your craw like somebody taking something that you feel should be yours. Chrysler indicates that the locations that have opened on Saturdays have seen a significant increase in sales. More than enough to prove that it is a profitable venture, along with being convenient for the consumer. We’ve been carrying the Dannmar Two Post Lift selection for many years now and we’ve been extremely happy with the feedback we get on them. They are well made, with attention to detail, and no shortcuts. Parts are also readily available. You would be amazed how many bargain lifts out there claim that they have a huge parts warehouse and then you find that you can’t get parts for them after you’ve had them for a year or two. Dannmar features top quality components and features that you’ll only find on premium lifts, such as 53 inch tall lift carriages, which means less stress on your columns, automatically engaging arm restraints, a direct drive system, which is the preferred design over chain or cable drive two post lifts. The automotive lifts are not only on sale right now at all time low prices, but they we are also including some free extras. These include a set of frame cradle pad adapters, along with an 8 gallon rolling oil drain. This is a $264 value. The frame cradle pads are helpful in those situations where you want the pad to grab onto the vehicle frame. This is especially helpful when engaging the automobile from a rounded jacking point, like an axle. It is much less likely to slip off. The 8 gallon rolling oil drain is a must have accessory that no two post lift owner should be without. After all, you don’t want to hold a bucket over your head when your draining oil. Now is the time to order. This sale is on for a limited time only.